The Taldra novels happen in an alternate reality, with Valchondria as a parallel to Earth. In Degranon: A Science Fiction Adventure, I refer to an alien race attacking the second colony ship from Valchondria. It was part of the reason the Valchondrians shut down the space program a thousand years ago and banned contact outside their atmosphere. For the sequel, Sons of Taldra, I wanted to go back and explore that race. And why not make them shapeshifters who attack Valchondria? The idea of a past encounter with shapeshifting beings in the past sounded like Native American mythology, and I found that reading more of it helped me flesh out the invaders. Though the spelling varies, yee naaldlooshii is a Navajo term for skinwalkers; it means “with it, he goes on all fours.” These creatures can take any animal form. They have glowing eyes and actually enter into people’s bodies by looking into their eyes. Some aspects of yee naaldlooshii stories appear in the book, though I can’t discuss that too much without spoilers. I decided to go with the name Naadloosh, singular or plural, with Yee Naaldlooshii as the name of their home world. I limited them to just a few specific forms, but they can usually change at will, like in the Navajo stories. I also added some new twists to them, but again, spoilers. Shapeshifter tales aren’t limited to the Navajo, but their version became a strong influence on my aliens. Native American storytelling offers rich, important looks at how various tribes explored their universe. Some links follow. Please also see Why Taldra’s Family is Iroquois and the Degranon/Sons of Taldra glossary. Read about Sons of Taldra at Barnes & Noble or Amazon. For Degranon: A Science Fiction Adventure, I created a Native American family that provides the heart of an expansive narrative. That novel takes place in an alternate reality where Earth (Valchondria) went straight from tribes and villages to the one-world government that rose up in Valcine. The descriptions of Valcine in that book and its sequel, Sons of Taldra, often imply that it parallels our New York City. The problem with no countries is that I couldn’t refer to them as American Indians or Native Americans. And even First Nation or First People seemed a little off, though I considered them. Many Native peoples use those terms, but many other people wouldn’t recognize them. I settled for calling Taldra’s family (and many other characters) red-skinned. It worked for most readers, but some asked “As in red paint”? I didn’t mean it as racist in any way, and it’s a term many Natives use, so that wasn’t a problem, but it still didn’t quite get the idea across. For Sons of Taldra, I went more into Taldra’s background and decided she is Iroquois. That didn’t conflict with anything in the first book, since I had never identified her lineage. More on that choice in a moment. When I wrote the fifteenth anniversary edition of Degranon, I added references to other Native nations as well. I decided Taldra’s spouse was mostly Iroquois but with a dash of Navajo. The Navajo provide some of the mythology for Sons of Taldra, as I discuss in the blog entry The Navajo Influences on the Aliens in Sons of Taldra. Back to my choice. The tribes of the Iroquois federation (Mohawk, Onondaga, Oneida, Cayuga, and Seneca) have lived in the New York area for centuries, so that works with Taldra being a member, and with her son Telius encountering Iroquois on the other side of the temporal doorway. My alternate reality might establish them even earlier than real life, though, and it has them consolidated into a single Iroquois tribe, instead of just sharing the Iroquois language. The Iroquois are a largely matrilineal culture, while the Taldra novels feature strong women throughout, often in leadership roles. Those parallels helped me make the characters come alive. Though it’s a long-running debate, many people believe the Iroquois Constitution influenced the US Constitution. Some links about that topic follow in the list of resources below. That appealed to me because the Taldra novels focus so much on the Valchondrian government, with Taldra becoming Leader and impacting its laws. So, even if readers might disagree over the historical accuracy of that influence, it still resonates as part of my world-building. I won’t explore it until the upcoming novel Argen, but I imagine events took place that caused the varied Iroquois to unite as one people under a Constitution. Other people travelled there from lands they sometimes referred to as North and South Turtle (North and South America, adapted via Native terminology). As Valcine became a trade center, other people kept joining them out of necessity, until the world united as Valchondria. It all seemed ideal, until the Degrans and the Maintainers rose. Read Degranon and Sons of Taldra to find out what happens from there. More importantly, please take the time to learn from and about the creative, amazing Native cultures that we so often ignore or mistreat in the real world. They’ve inspired my writing, and I can’t begin to acknowledge their struggles or their accomplishments. Please also see the Degranon/Sons of Taldra glossary. If you get a chance to see Olivia Newton-John in concert, go! She's still a great singer and performer, as well as someone who loves her audience. Please visit the Equality Speaks LGBTQ blog. Recent post topics include gayming, transitioning, out athletes, non-binary, a lesbian resource, and much, much more. "I'm Georgia, from Australia. This is my blog for the LGBTI+ and gender diverse community. I'm passionate about equal rights, medical science and helping others. I provide advice, post news and resources. Sometimes I may put up some personal posts. All articles/news/resources and photos I share I do not own (unless otherwise stated). I ensure that I credit/source everything I share." Blog entry about my books. Please visit my twitter list Gay SciFi/Fantasy/Horror: "Science fiction, fantasy, and/or horror with LGBT themes &/or characters. Or LGBT fans of sffh." Of course, the posts aren't limited to those topics, but there's plenty to geek out about anyway. From there, you can find my other twitter lists, such as movies/TV/theater, LGBT, or general geekiness. I've updated the entry Glossary for Degranon and Sons of Taldra. It originally just covered Degranon. 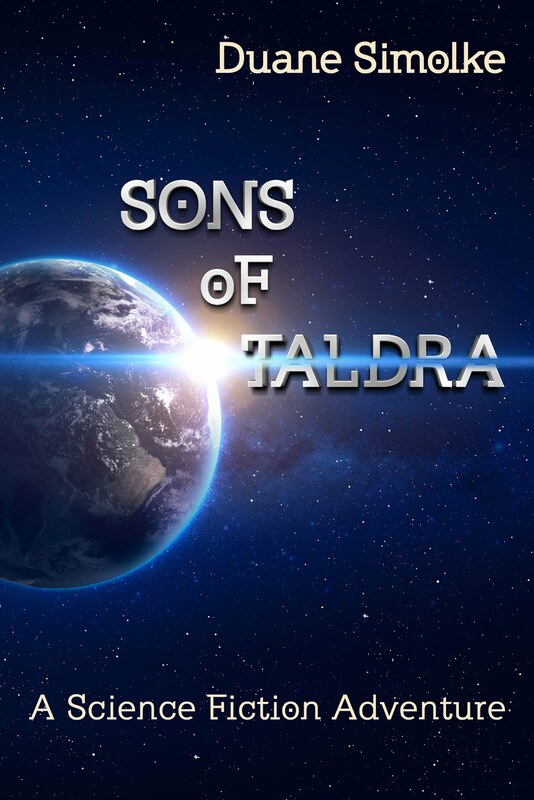 Watch for more posts about how Sons of Taldra took shape. 71 Ways to Promote and Market Your Book by Kimberley Grabas. She actually offers more tips within the tips. Helpful article!